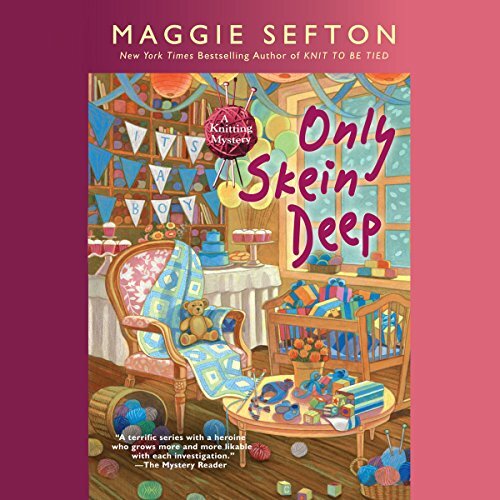 The Lambspun Knitters are eagerly awaiting a bundle of joy but find themselves heaped with trouble instead! Kelly Flynn and her boyfriend, Steve, are expecting and couldn't be happier. Kelly's got the knitting group working away on blankets and booties, and the story of Giselle Callahan is a popular topic of conversation. Giselle is the young wife of Henry Callahan, a Fort Connor banking scion who traded in his previous wife of 40 years for a newer model. When Giselle is found dead on the greens at the golf club, Kelly and her Lambspun crew worry that a vicious killer is in their midst. They must work fast to bring an unhinged murderer to justice on the back nine before Kelly's very special delivery. Having read all the previous books in this series, I didn’t think the reader did the characters justice.